This year has been riddled with races being postponed and many have been cancelled. 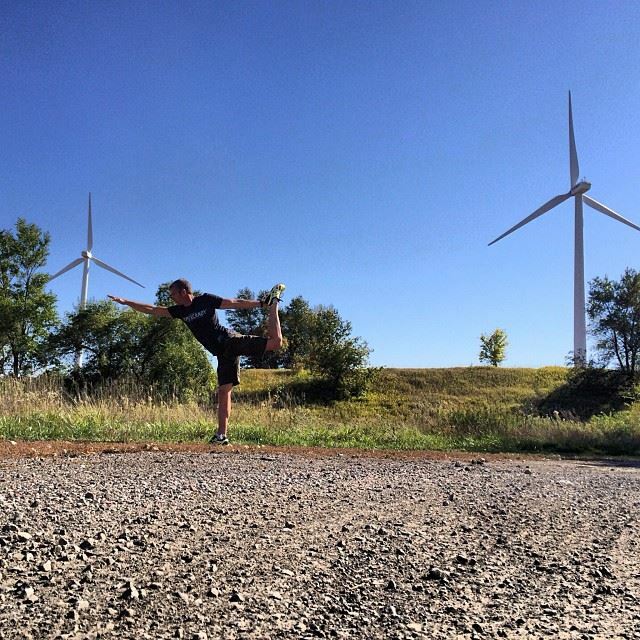 I signed up for Spartan Race Nebraska when it was first announced but as the months went on and I discovered new races I had switched my plans and I was supposed to run the Alpha Warrior race in Texas. This would be the weekend after Fuego Y Agua Survival Run: Hunter Gatherer. Plan was that I’d stay there in Texas for the week, race and come home. So back to how I signed up for this race long before I even knew what Alpha Warrior was. Luck was on my side because I never booked a flight until after finding out Alpha Warrior would be cancelled. (By the way this company gets “5 Stars” for customer satisfaction in how they handled this. Full Refund. Tshirt. Sticker. Free Entry to 2014 Alpha Warrior. VIP Experience. Invite to new Training Center.) Now that I wasn’t going to be in Texas I had an opportunity to go to the Nebraska race again. When I found out my friend Jeffrey Bent, the king of yoga as I like to call him, was driving from Ohio to Nebraska I was able to have him come kick it with me in Chicago before heading out to the wonderful Corn Fields of Nebraska. The plan was not for me to there to race though. I was still recovering from Fuego Y Agua and I actually had no desire to race for once, sure I wanted to when I saw my friends out on the course but I had a different objective. I was headed out here to help my the Queen of Green and Barbwire 4 Breakfast, Andi Hardy, with leading the Hurricane Heat. We had the great privilege of waking up at 4:00AM, arriving at the course at 5:00AM and getting the Hurricane Heat started promptly at 5:30AM. Running this Hurricane Heat with Andi was such a great time. To begin I enjoyed half of my breakfast burrito in front of the Hurricane Heaters while they did burpees in the damp grass near the bag check area. We put them through a series of challenges that included playing hot potato with Atlas Stones, carrying a team member through a mile of the course going up and down the hills in the off road park area and lots of bear crawls. At one point Andi heard someone complain and instantly earned 25 burpees, but not even a second after those burpees were awarded someone else groaned doubling the burpees everyone had to do. The idea of “suffer in silence” was learned very quickly after that. While moving through the course we found some tires that looked like they could be moved to another section on the other side of a couple of hills. Once the Hurricane Heaters got all 4 of the enormous tractor tires to where we thought we wanted them it became clear that they just simply wouldn’t work there and were better off in their original location. 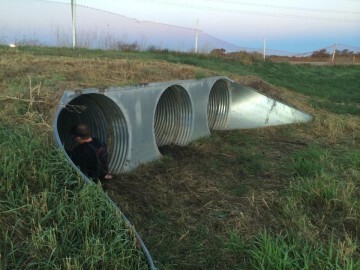 After this challenge they had to army crawl across the course to these three culvert tunnels. We had them start on the far right, army crawl to the other end, bear crawl back, and then crab walk through the left tunnel to finish. These were very long culverts and when everyone showed up on the other side we had the teams select the 5 most muddy HH’ers. They were rewarded with not having to do burpees. Everyone else had burpees but naturally since they’ve become a team at this point everyone got down and did the burpees together. It’s amazing seeing the transformation these strangers and friends go through in the short period of time during a Hurricane Heat. The last few challenges they had were to have each team get a spear throw the barbwire crawl without getting the spear dirty. This was an impossible task but very interesting to watch the various tactics deployed to try to succeed. After this it was off to the rope climbs, they had to get 6 bell rings between each team of 6 members. There were 3 teams one had 7 members. After this they had to get 10 spear throws it was during this time that we saw the first of the Elite runners come through the Spear Throw, James Appleton, followed by my brother from another mother, Joseph Kauder. It was an awesome finish and I was so pumped for Joe. We finished the last of the obstacles and finished the 3 hour Hurricane Heat with everyone finishing with only a few minor cuts and bruises. After the Hurricane Heat I decided I was going to just hang around and maybe compete in a few of the festival challenges to win some races for next year. 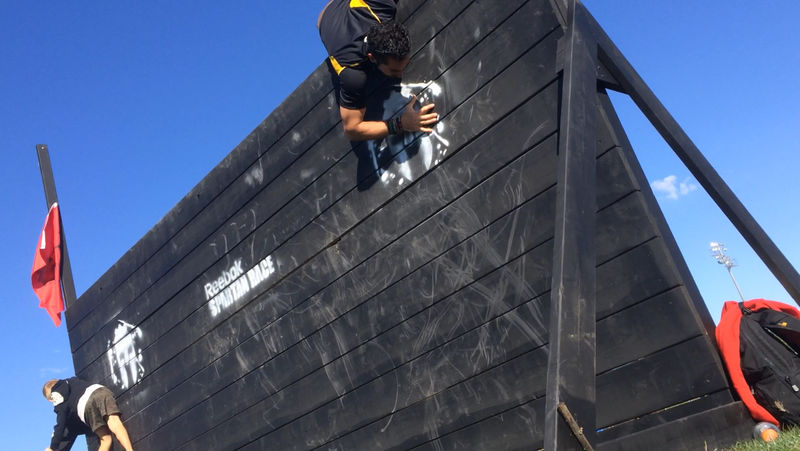 The first one that I got pulled into doing was the Wall Climb challenge which was new for this race. The objective was to go up and over the 8′ Wall as many times as possible in 60 seconds. Jeff had already done this and was the leader with 12 times. The second highest was only 7. I decided to give it a go and with about 5 seconds left I came over the top of the wall and my feet landed on the ground marking my 12th jump over the wall, with only 2 seconds to get over again I was spent and tied Jeff. It was pretty funny and neither of us wanted to do the tie breaker which involved the addition of one burpee after every wall climb. No thanks. Jeff was kind enough to give me the free passes so I was able to invite 4 of my friends to join me at the Malibu Spartan Race for my birthday. I love that Spartan Race gives those of us with Season Passes a way to bring other people out to try the race when we win the Festival Challenges. 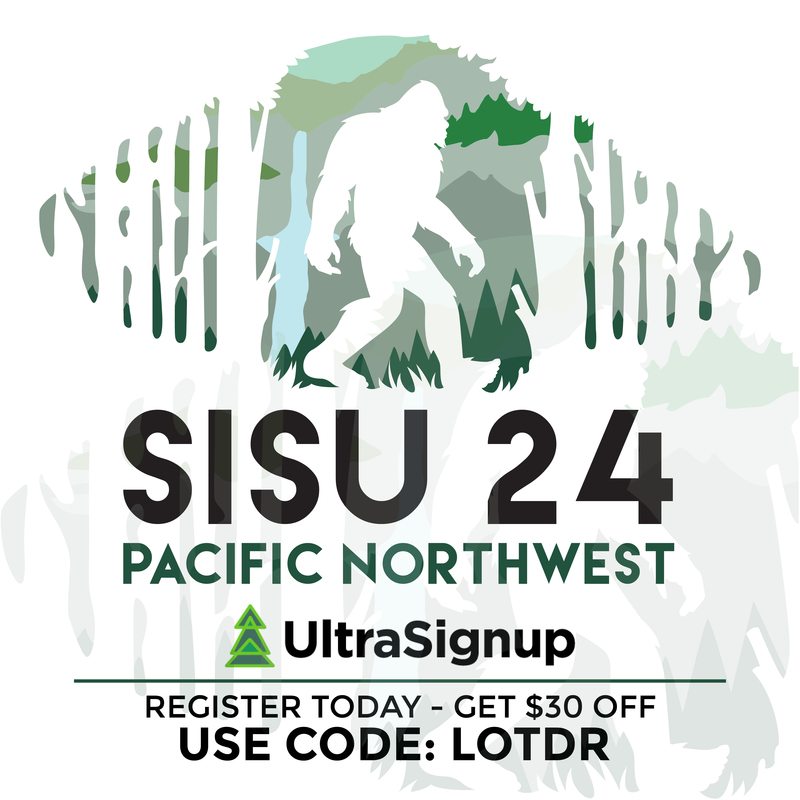 It’s a great way to get my friends who are on the fence about racing out there for their first Spartan. We also went after the Slosh Pipe Challenge, I failed miserably but Joe destroyed it making all the big muscle heads look like wimps. When it came time for the tire flip challenge though, I knew I could likely destroy it. The one thing I do more than anything now that I have unlimited access to large tractor tires at REACH is lots of tire flips. 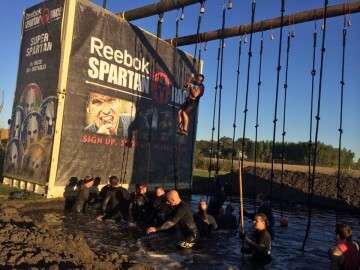 Winning this challenge gave me another four passes which I’ll be using to bring some new friends out to the Midwest Spartan Race in 2014. How awesome is that. If you haven’t tried a festival challenge what are you waiting for? You can win free passes for you and your friends. All in all it was an awesome weekend of Spartan Racing even without setting foot on the course as a racer. That’s because these races are about so much more than racing. It’s about the people you meet, the lifestyle that is embraced, the fun and mud, it’s about bringing people together from all over the world and giving them an opportunity to experience the great outdoors. Ever since doing these races I have seen a different side of the world. One you can only see by going out there and just living. It’s a wonderful life that I’m thankful for.